Why Use A Digital Tachometer? It’s all about revolution. Digital tachometers, and all tachometers, measure the revolutions of a spinning object to determine the rate at which it is spinning. Nearly all types of transportation vehicles, from planes to trucks to buses to trains to cars have tachometers. The instrument is also vital in troubleshooting machinery performance and conducting preventive maintenance inspections. You’ll even find tachometers used for production line checks, monitoring turbines, measuring sewing machine speeds, and maintaining quality control. What sets digital tachometers apart is the display that shows a digital reading, which may be gathered by an optical sensor. Optical digital tachometers are non-contact and can be used to assess RPMs by measuring the number of rotations a reflective surface makes in a minute. Photo tachometers, using laser beam technology, are Class II rated and enable users to measure objects up to 14 feet away. A laser tachometer can operate in hard-to-reach or remote locations for added versatility. Conversely, contact tachometers physically touch a rotating or moving object to measure its linear speed or RPMs. Dual-type technology (or combination) styles are also available. 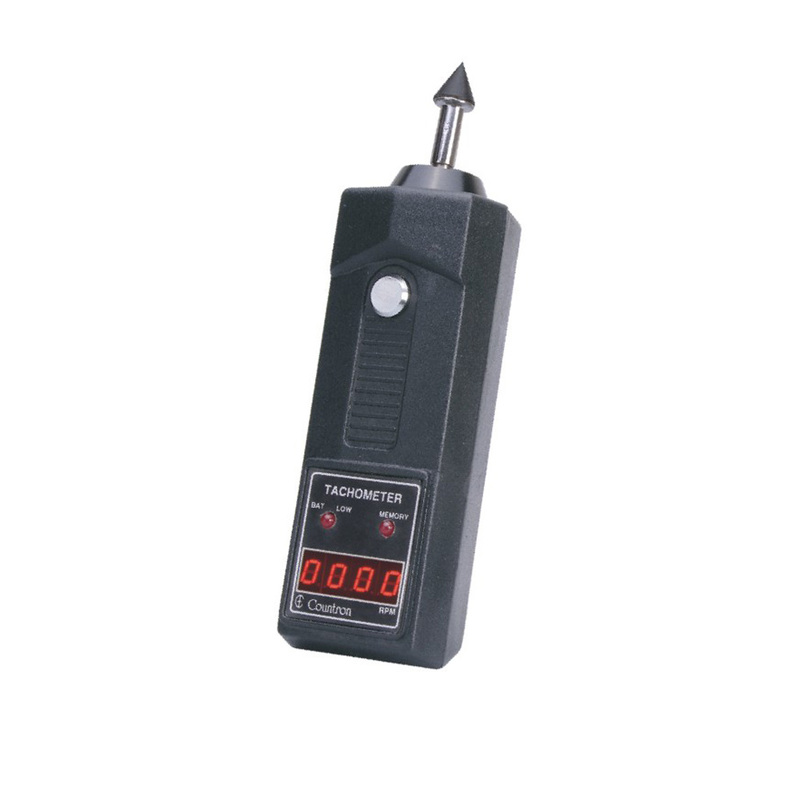 Portable tachometers can be used in the field or in a facility and are handy when measuring RPMs in many locations. Panel-mount tachometers are typically dedicated units near a specific machine or in a control room in an industrial environment. Both are ruggedly designed for industrial applications.